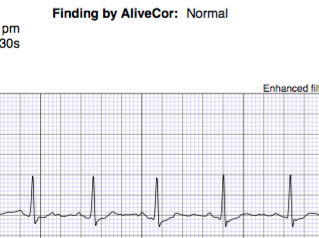 Very interesting report on unclassified Alivecor readings. So far I have not experienced these kinds of readings but I will use the techniques described if I ever have a problem. Im wondering if you have caught an ekg on the Kardia band of a rate greater than 200 and have what that might look like. I don’t think the Kardia band can keep up with such a rate. What is your experience with it at a rate this high? Mine look like artifact but I know it isn’t as I have had previous episodes of VTach. Also was symptomatic and that was the reasoning for taking an ekg. The smart rhythm also alerted me to take a reading as well. Thanks. I have no experience with rates that high. 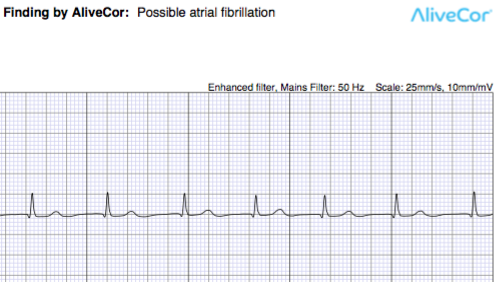 It would be unusual for afib to go that fast although possible. This is a 20 dollar board that, with minimal electronics knowledge, allows one to assemble an EKG. If you scroll down you can see that the waveforms produced are quite stable. I’m in the process of assembling one. 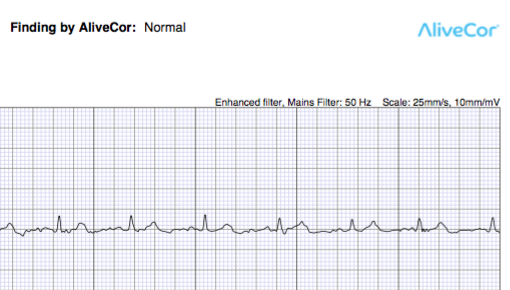 Obviously, AliveCor is FDA approved, etc, but fundamentally it’s the same or very similar hardware as to what’s going into this single lead EKG. Nice. Yes, similar hardware but AliveCor’s value for many is the algorithm that identifies with accuracy the presence or absence of afib. I have cardiac sarc with normal ekgs and holters. So no ICD. Palpitations more frequent so I wore a ZIO patch for two weeks. It picked up a 5 beat SVT, 3 beat ventricular trigeminy as well as shorter runs of SVT, PACs. Had a lot of unclassified Alive cor readings always come back when reread as normal. Had a bunch of ‘a fib’ readings which EP called artifact. Cardiac sarc unchanged on PET despite a year of methotrexate, 6 months of Remicade. On IVIG for progressing neurosarc and now PET shows thoracic lymph node involvement. Sarc raging in the rest of me-arthritis, neuro, liver. Yet cardiologists act hopeful they can reverse the cardiac part with no mention of seeing EP doc or future ICD due to new conservative protocols. Just wondering if you are as skeptical as I am!